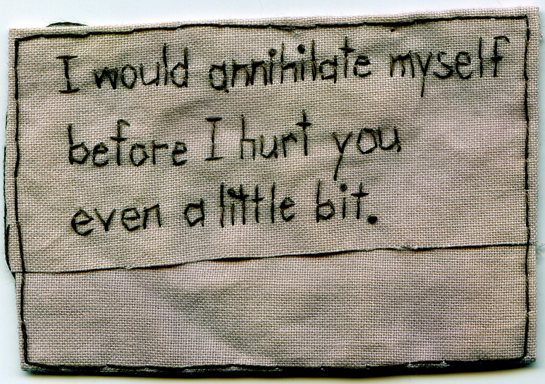 “I would annihilate myself before I hurt you even a little bit.” 2012. Embroidery on fabric dyed with purple onion skins. Borrowed text, thanks to Taryn Matusik.